The study used two kinds of cells placed in silicone containers to cultivate "hair follicle germs"—the sources of the tiny organs that grow and sustain hair. 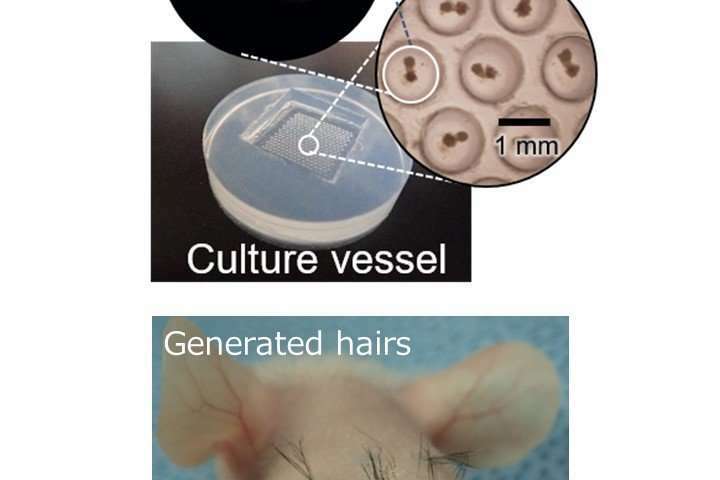 Led by professor Junji Fukuda at the Yokohama National University, the team managed to cultivate 5,000 within just a few days, enough to replenish hair. The method is a massive step up from existing laborious techniques that can create just 50 or so "germs" at once. "Beauty clinics currently often use hair from the occipital region [back of the head] and plant them to frontal areas with hair loss. A problem with this is that it doesn't increase the total volume of hair," Fukuda said. While the study offers hope for the hairless, Fukuda debunked some rather optimistic reports suggesting McDonald's fries could help cure baldness. "I have seen online comments asking, 'how many fries would I have to eat to grow my hair?'" he told AFP. "I'd feel bad if people think eating something would do that!" Hardly a cure, it's just another type of hair transplant. In the balding area, all of the hair that once existed is still there, just reduce to non-growing 'peach fuzz'. When they come up with a way to turn the growth cycle back on, then they will have a cure.